I absolutely love Coco Chanel. I admire her personality and work, her style, her elegance. Gabrielle "Coco" Chanel revolutionized the '20s, releasing women from the uncomfortable and rigid clothes of the 19th century. She reproduced her own image, the woman of the 20th century, independent, successful, with personality and style. 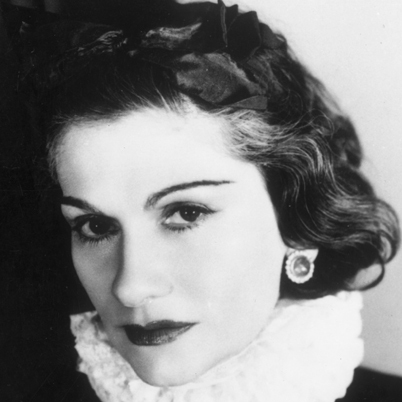 History of many sources credit Coco Chanel as being the first to introduce costume jewelry as an acceptable accessory. She brought the world Chanel No. 5 in 1922 (still the world's best selling perfume), the Chanel style suit in 1924, the cardigan jacket in 1925 and the "little black dress" in 1926, and introduced a line of costume jewelry in 1932. Originally inspired by the opulent, costly jewels and pearls gifted to her by her aristocratic lovers, Chanel raided her own jewel vault and partnered with Duke Fulco di Verdura to launch a House of Chanel jewelry line. “A woman should mix fake and real. flowers instead of flowery silk prints. She’d look faded in a few hours. around your neck just because you’re rich. "Because you know a Chanel outfit cannot go without its jewellery"